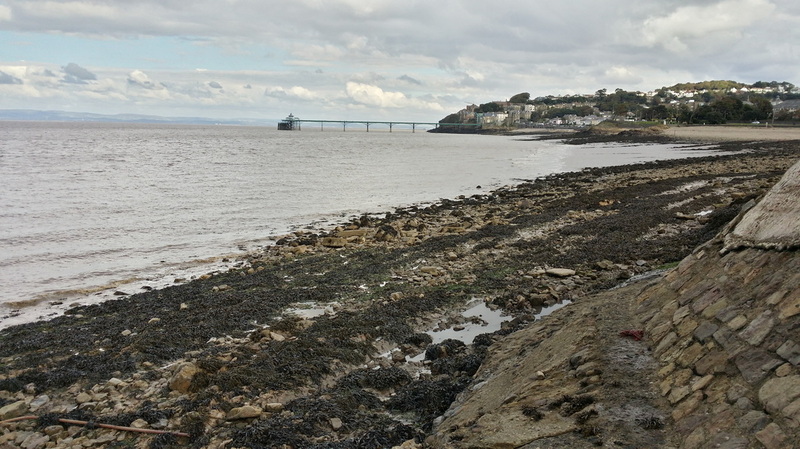 ​We now offer a national recovery service throughout the UK. ​We have members all over the UK that would be happy to help you search for your lost metallic items. Please visit the facebook group. Cystic fibrosis (CF) is a life-shortening inherited disease, affecting almost 10,000 people in the UK, clogging vital organs with thick sticky mucus. There is presently no cure. We are the UK’s only national charity working for families with CF and to find a cure. 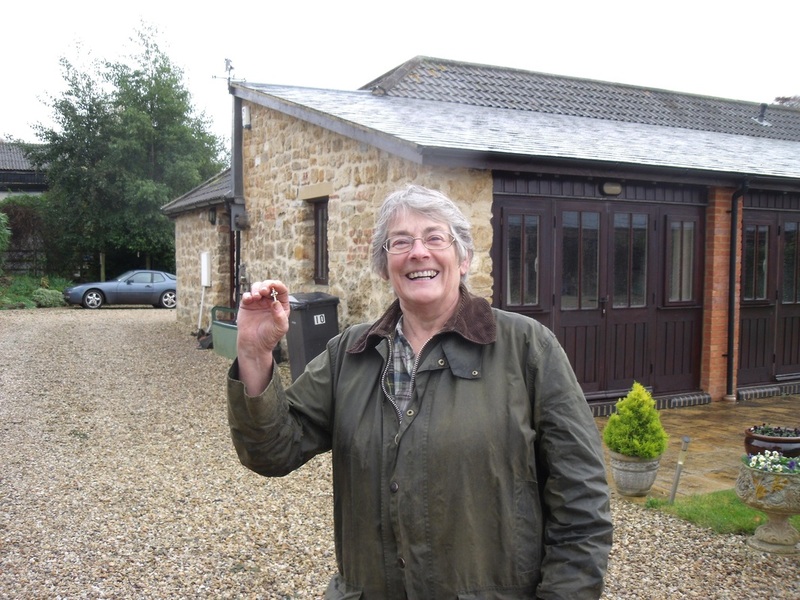 We received an email back in March when the UK was hit by the beast of the east weather asking for help as Mrs Zorab was out feeding the animals on their land and lost her watch. The search was then delayed by the snow that took some time to thaw. On the 5th April Morley Howard and David Baker were on hand to offer to help the search. Mrs Zorab had a printed map of their land that her husband printed off and explained what and where she was when she thought she lost the watch. Even after the snow had thawed, they searched themselves but to no avail. So after being informed of the areas where to search Dave (Manic Dev) and Morley (The Ferret) headed off to a large paddock. We thought that, as the grass was short and the watch has not been found, it could be under some loose hay. 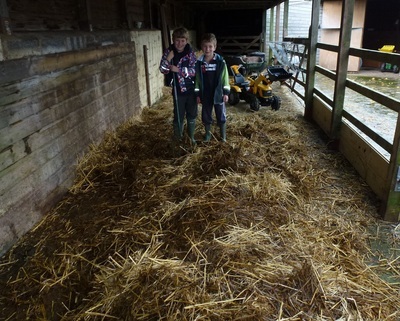 We walked the width of the field to the gate where the first hay was laid. Just as we were about to enter the area where the hay was Morley turned to Dave to say something and noticed a bright reflection in the sun about 15 feet away. We then started to walk to this reflection and could see it was the lost watch. 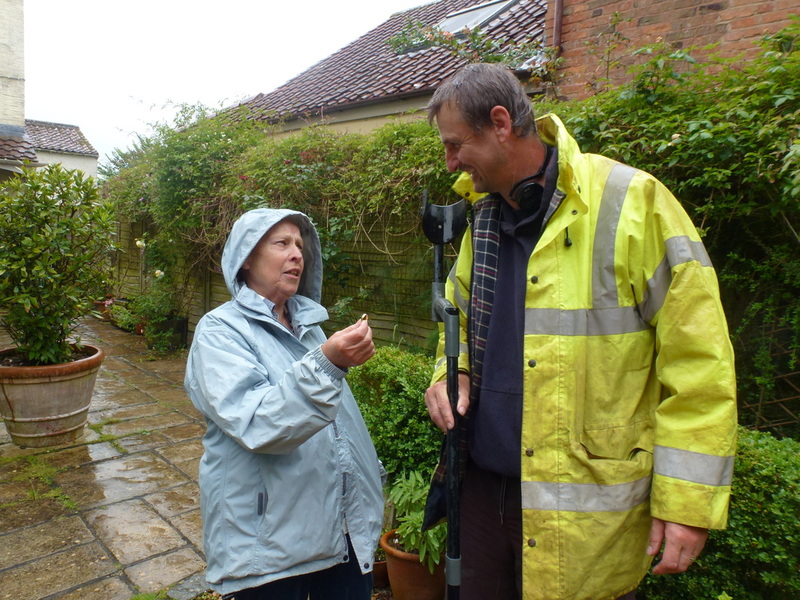 We didn't even have time to start detecting and hurried back down to the farmhouse and knocked on the door, Morley was holding the watch; when Mrs Zorab came to the door she saw the watch and was lost for words and was most grateful.... She allowed us to carry on metal detecting afterwards. Mrs Zorab and Morley are pictured above. 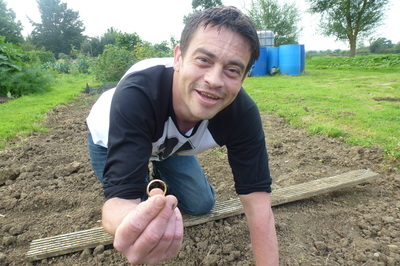 Tom Reunited with his lost wedding ring. 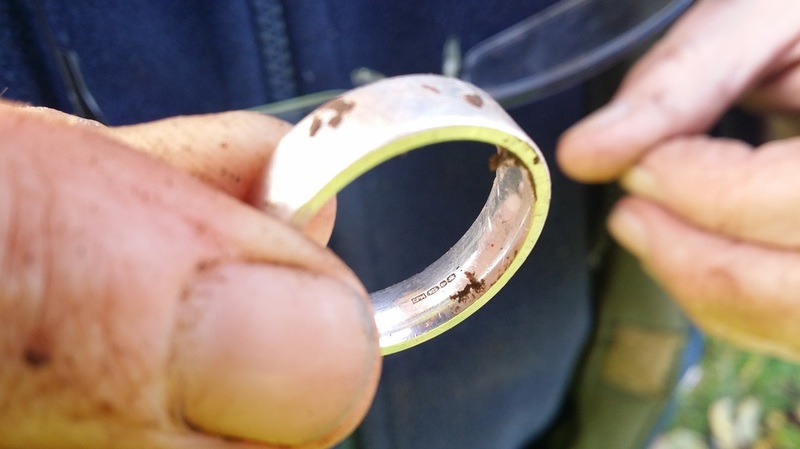 Tom contacted The SAS as he managed to lose his wedding ring in a field at the back of his house. "Can anyone help? I'm distraught, and my wife too! We've been on our hands and knees for hours to no avail." 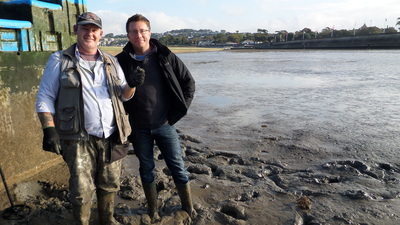 Club Member Rich was on the case again for the second time in 2 days. 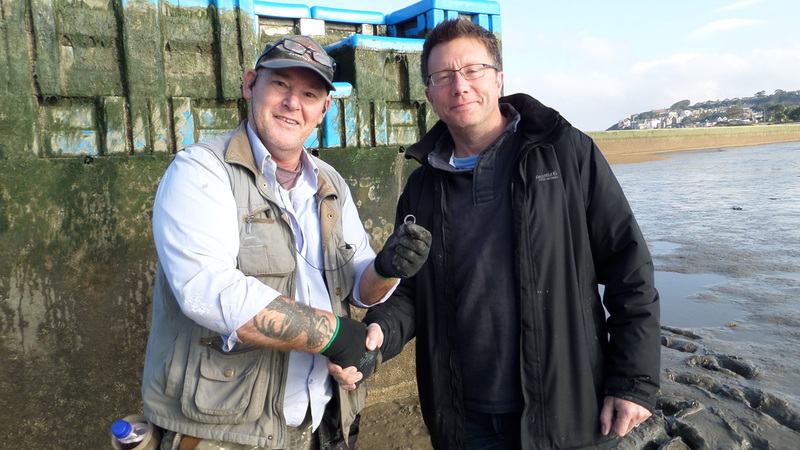 After sometime Rich managed to find the ring and return it to him. A Very happy Mr Swift with his 9ct Gold Ring. 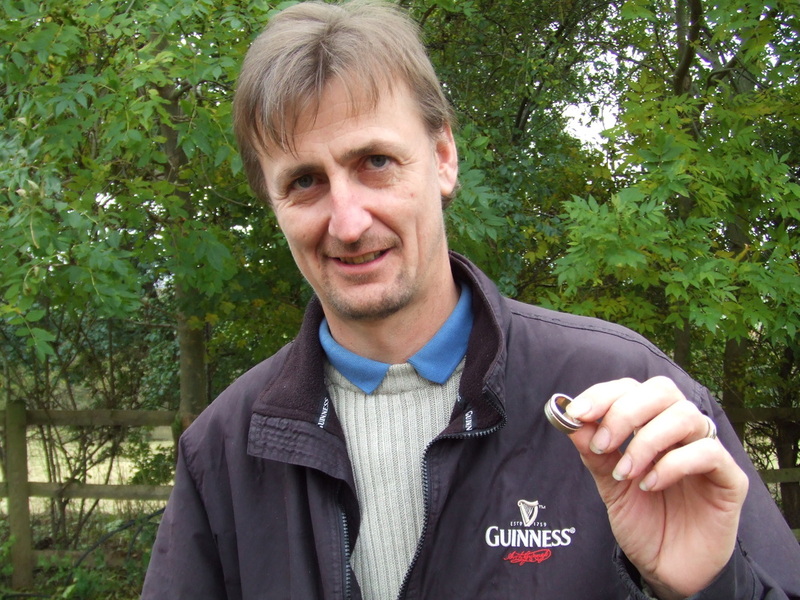 ​Mr Swift managed to lose a signet ring in his orchard (9ct gold). Grass Was 6" long. 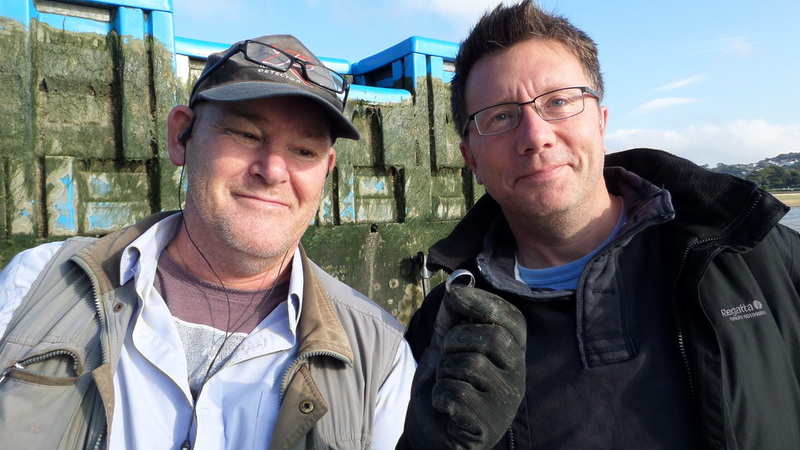 But this didn't hinder the great work of club member Rich as he managed to find it for him. Mr Swift Made a generous donation to our justgiving page in aid of Cystic Fibrosis. Thank You Mr Swift and well done Rich. 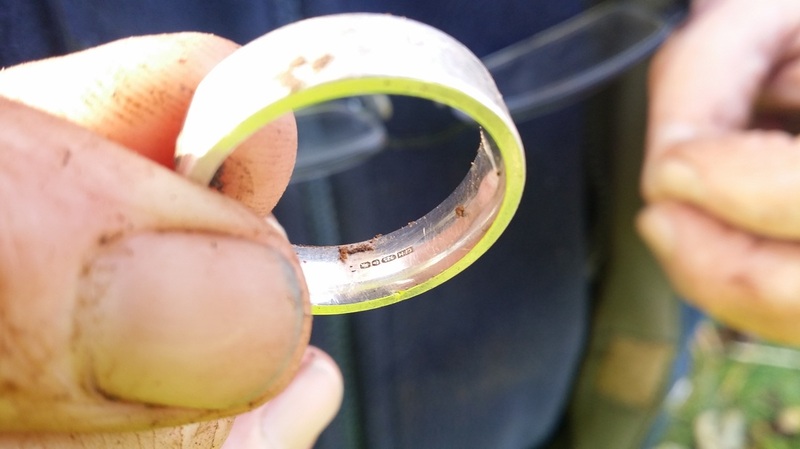 We received and email yesterday from Tim asking if we could be of any help as his wife Chris lost her mothers ring out in the field whilst chopping wood. 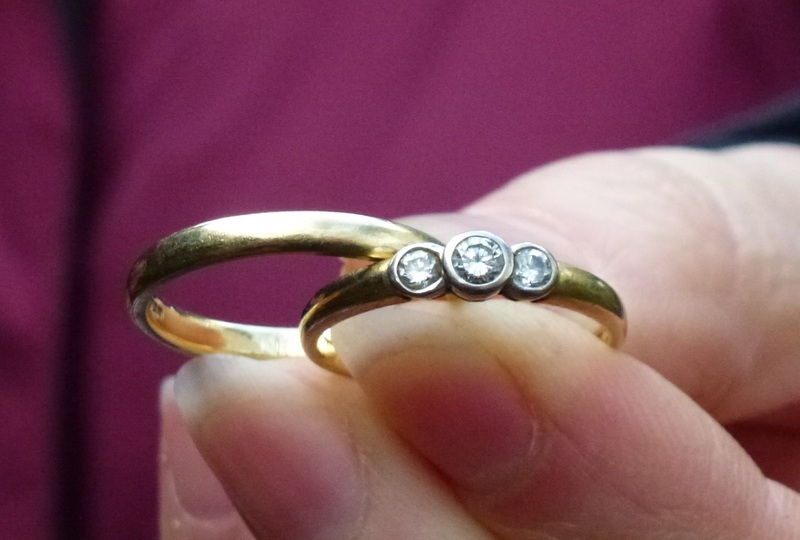 The ring has so much sentimental value as it was his wife's mother's who lived to a good age of 104. Jo and Morley were shown around the area where they thought it may be. 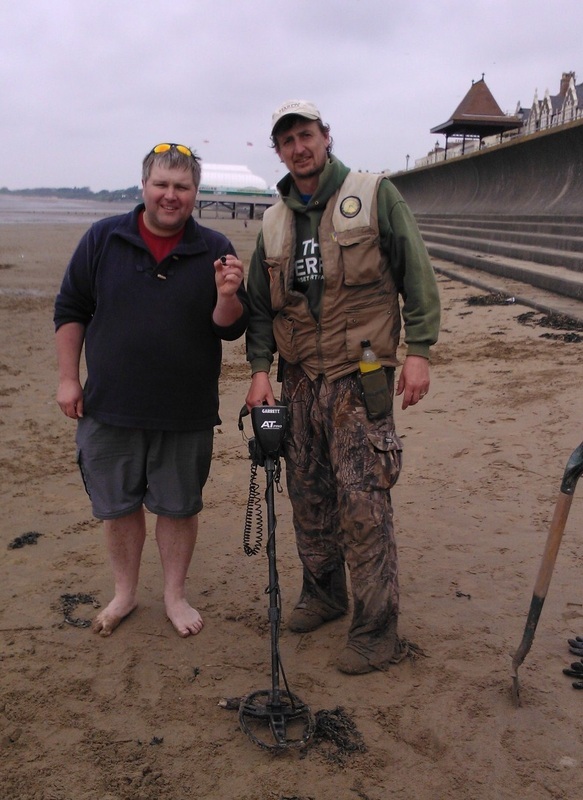 After a couple of minutes of searching Jo managed to locate the lost ring using her Garrett AT-Pro metal detector. Tim was there to see the ring being found. 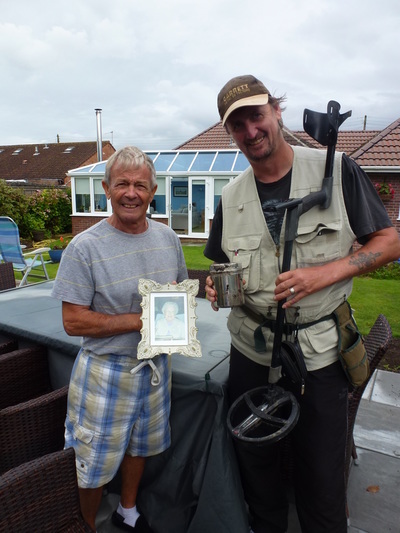 Tim and Chris made a very kind donation to The Cystic Fibrosis Trust via our justgiving page. 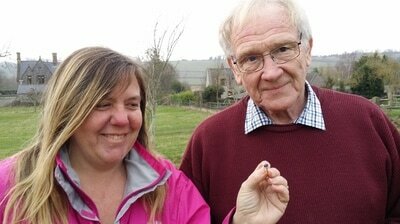 First successful lost ring recovery for 2017. 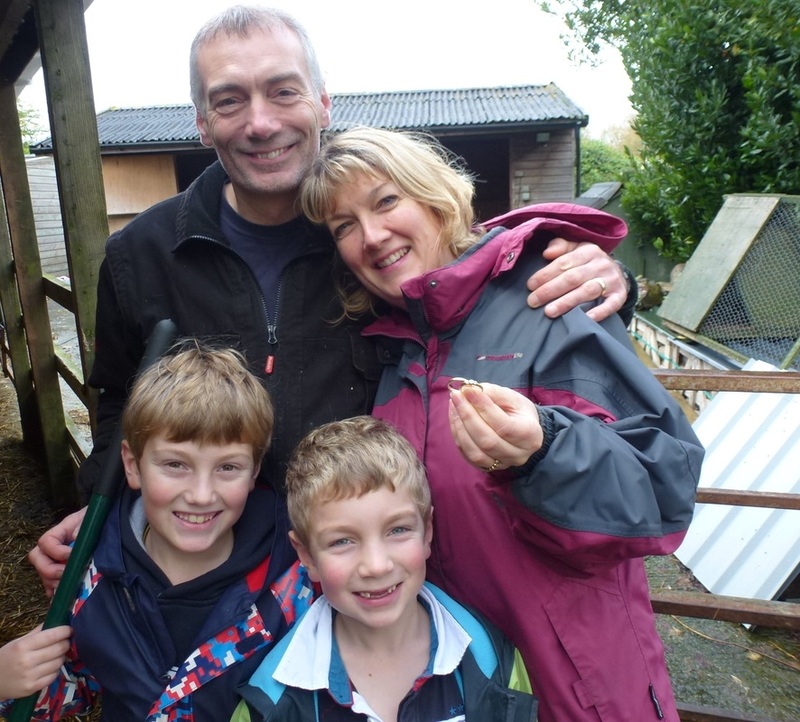 We had an email over christmas from Tom asking for help. He had lost the ring over 7 years ago and just recently found our website and contacted us. "Hello , I am wondering would your club be interested in looking for a lost wedding ring ? 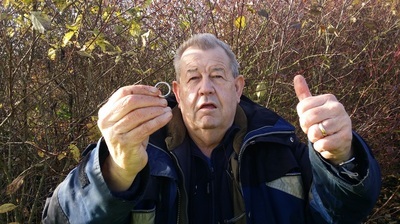 I lost it in our field I believe (but not 100% sure) , but that was about 7 years ago"
We made contact with Tom and one of our club members, Richard arranged a day to go along and search for the lost ring. 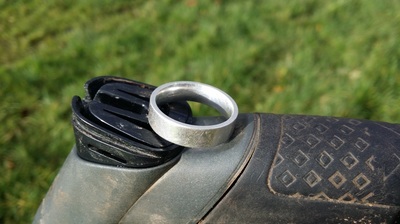 Richard came over this morning ( many thanks) i told him the ring was thought to be in a field and showed him roughly where i thought , bearing in mind it’s been 7 years ! 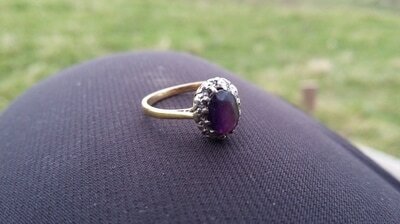 OMG i didn’t even have time to make a cuppa and put boots on before he was back with my ring! Sooo very pleased I cannot thank you and your club enough, I almost felt like i had wasted his time. I will be making a donation to your CF charity as Richard said no to a reward. 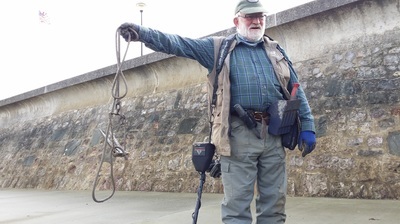 I shall be recommending you to anyone I speak to about a lost metal object. 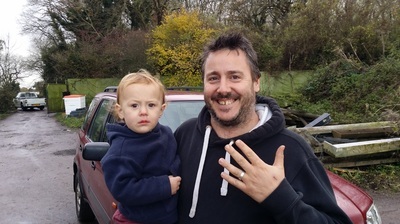 Rob Reunited with his wedding ring that he lost a few weeks ago whilst at a reunion BBQ by Chew Magna Lakes. 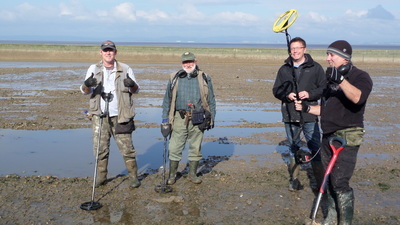 After an hour searching a Club Member Pictured below found it using his Garrett AT- Pro International Metal Detector. Manic Dev returning Matts Ring that he lost whilst swimming back in August this year. 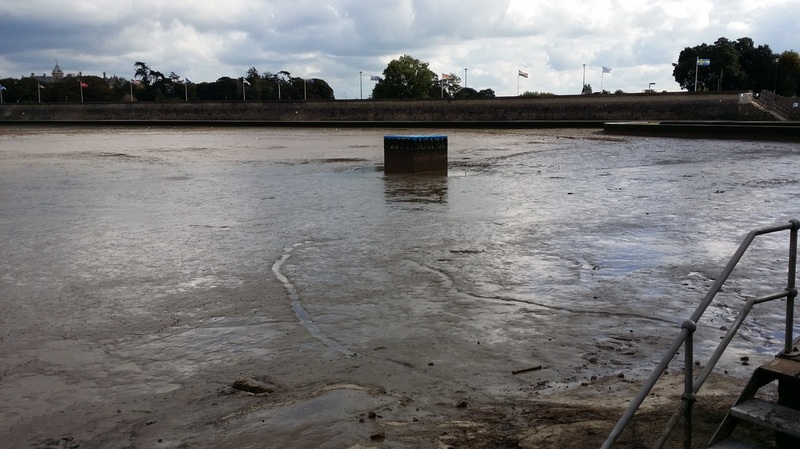 We had to wait until the lake was drained down for cleaning. 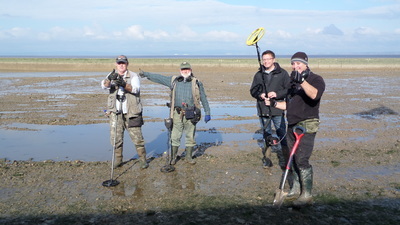 Five members of the club then ventured out into the sludge and slime for a few hours then Bingo Manic found it next to the diving platform at the deepest part of the lake. It was around 4 inches down in the silt. 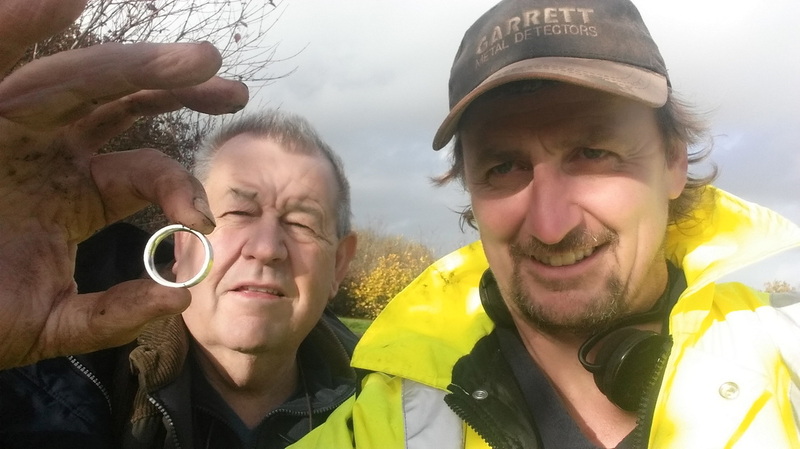 A Club Member arranged to meet up with Nathaniel (left) after work Monday evening to have a scan around for his lost wedding ring. Spent the last two hours of daylight searching with no joy. Not giving up we arranged to meet up again Saturday morning. 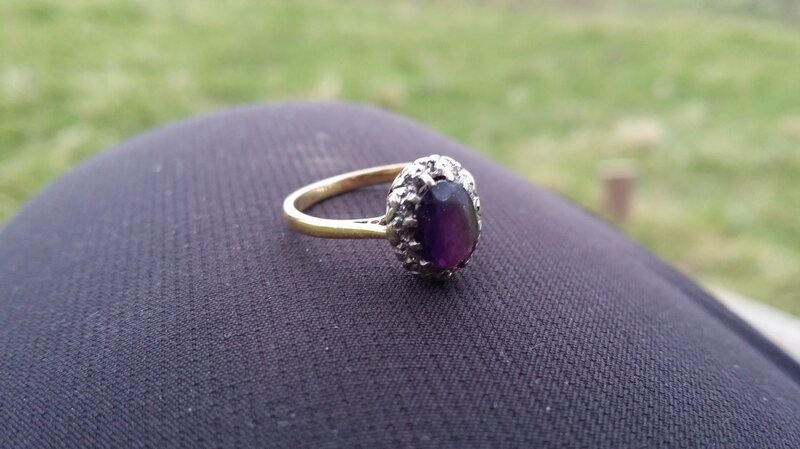 Being a carboot field there was quite a few signals and trash found, after an hour of scanning and digging a few little shallow holes out popped the ring to Nathaniel joy as he had only been married for a month. Lost Silver Ring Reunited after Club Member carried out the search. 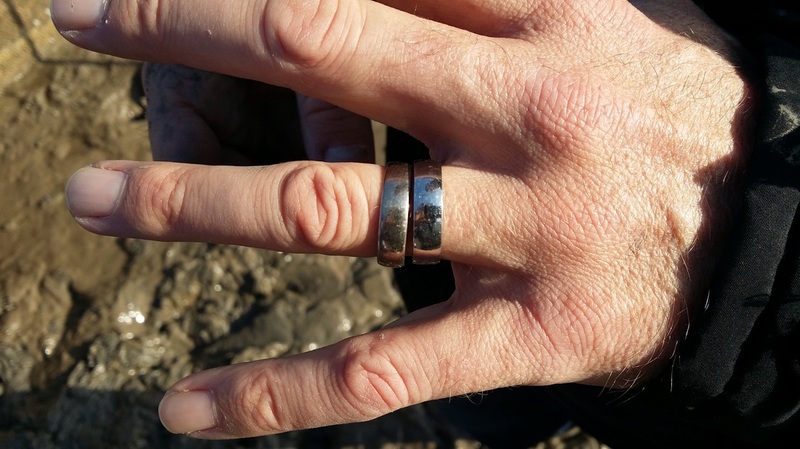 Donna said "Just wanted to say Thank so much to Pete who met my husband in Longrun Meadow tonight and found my silver ring almost immediately - I am so chuffed as I didn't think for a minute I would find it. It's not worth a huge amount but of sentimental value. Really grateful for you giving up your time." Simon lost his wedding ring whilst teaching some under privileged people on gardening and growing vegetables in an allotment. 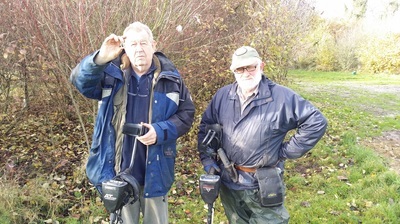 He notified the secretary of the allotment of his loss and Lilly then contacted us through our website and Morley the clubs founder offered to go and help do a search. I received an email this morning (3 Sept 2016) from a couple that "lost their mother in-law"
When I contacted them they said they have moved her twice before and due to having some building work they were eager to find her and relocate her resting place. 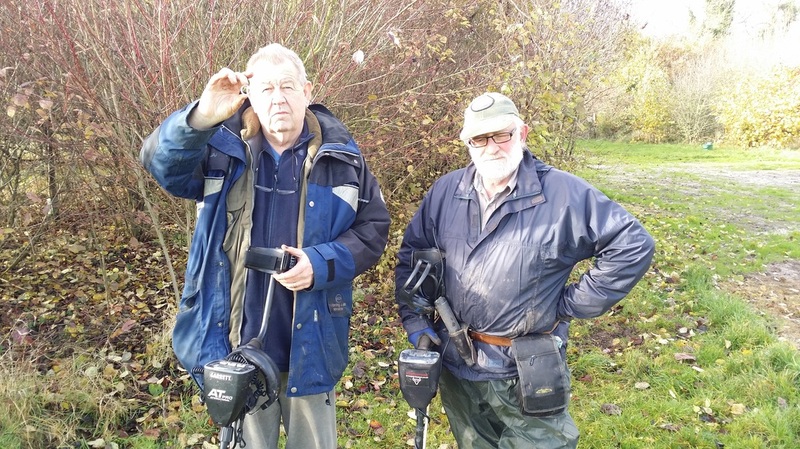 They searched high and low but with no joy until the contacted us for help. 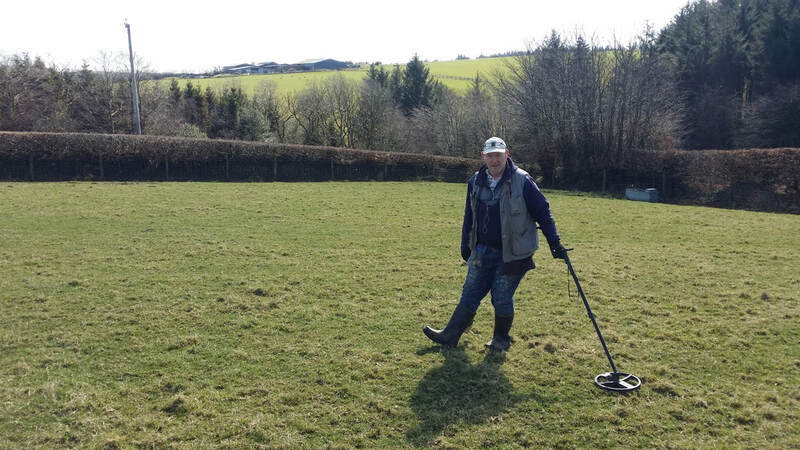 I turned up today armed with my new XP Deus Metal Detector. 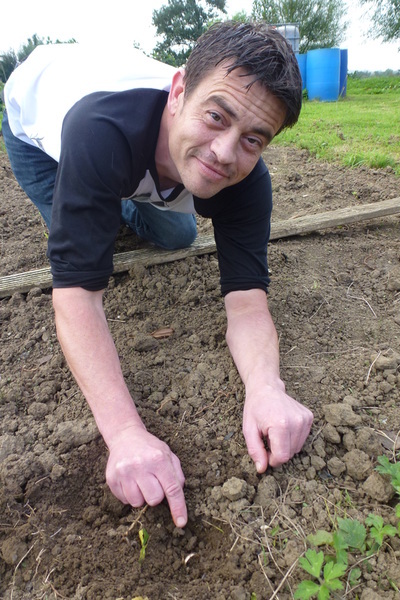 Set the machine up in Gary's Hot Program and began to search the garden. I walked over the flower bed and got a signal and seemed that the builders laid a patio over the top of her. 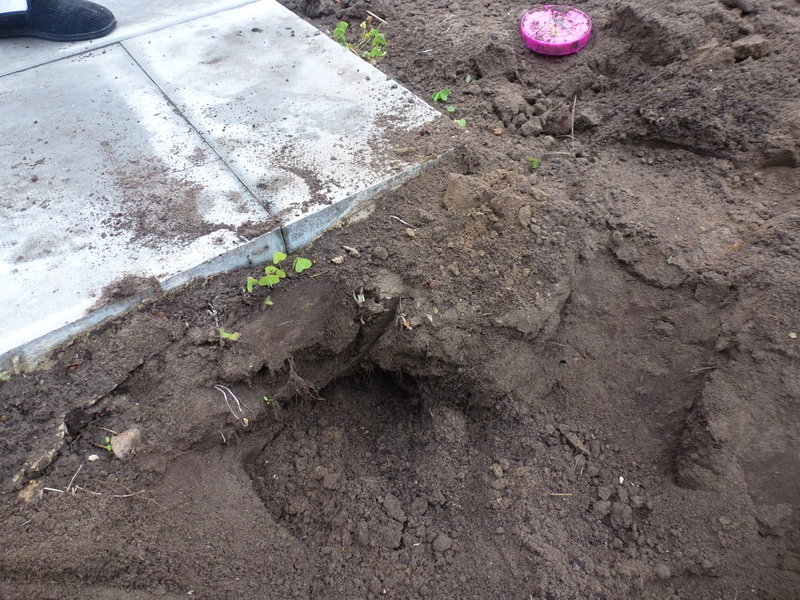 Luckily we were able to dig from the side and recover her. (See Pictures below). Click pictures to enlarge. 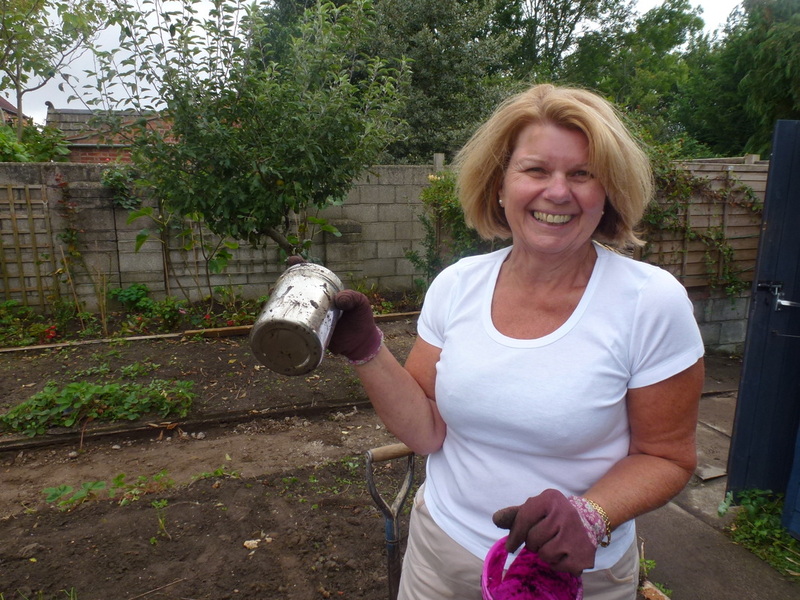 We received an email just after midday from them asking if we be of any help as Pamela was doing some gardening on Saturday then later on in the day noticed that her cherished wedding ring was missing. Jo and I made arrangements to go and see them and within an hour after checking through cuttings, plant pots and flower beds I went to check the cuttings bag and again no joy there so decided to scan the gravel drive. There was a car parked on the drive and I was picking the car up with the metal detector but just as I was moving away I heard a Nice signal on my New Xp Deus. I took my pin pointer out and sifted some gravel and there it was. 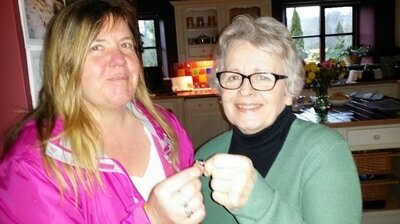 The joy on their faces was fantastic as they were reunited with the ring. Rich and I popped out this morning to answer a call of help a lady who only just got engaged a week ago lost her engagement ring whilst moving hay around for her horses. 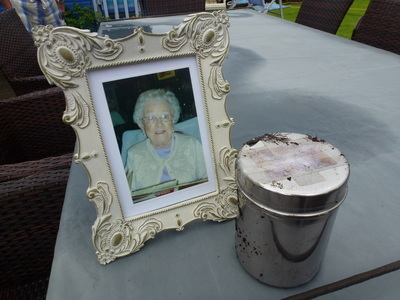 The location where she lost it was a concrete reinforced area with horse poop and straw etc. Not a pleasant area to detect also very hard to listen for targets as the machines were picking up all kinds of metals. 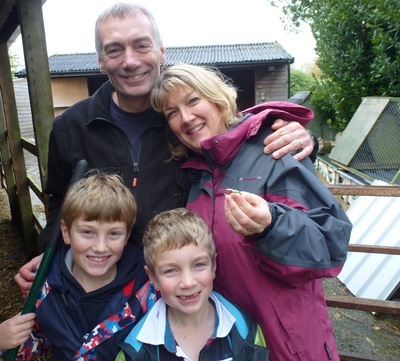 Mr & Mrs Tilley and family have just been reunited with their engagement and wedding ring that was lost whilst feeding the young cows. Club member Paul reuniting the lady with her lost wedding ring. 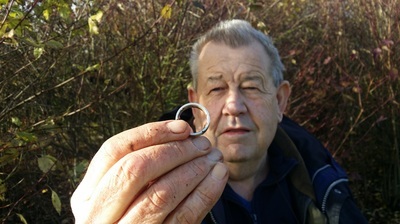 Morley Howard the SAS Club Founder was so pleased to be of service and recover the ring at around two inches deep in the soil. 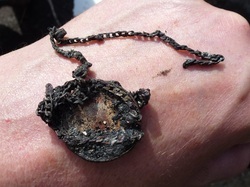 We were called out by the owners to try and find their late Granddad's Lost Medal From the Burnt out cottage.. April 2013. 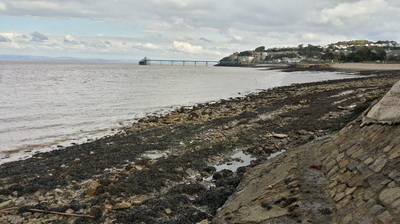 I thought I'd pop down to our local beach here in Burnham on Sea. 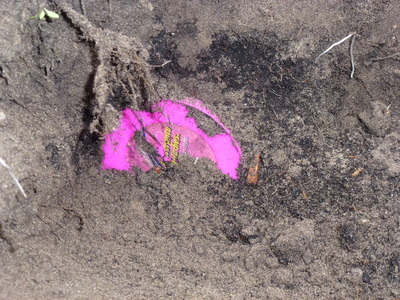 Lots of sand is starting to build up so older finds are getting harder to find. He took me over to where he'd been building the castles. Problem being here is that the sea defence wall carries on down into the sand and I was picking this up. So I set the machine on minimum sensitivity as i didn't want to go to deep as the wall was giving me good signals. 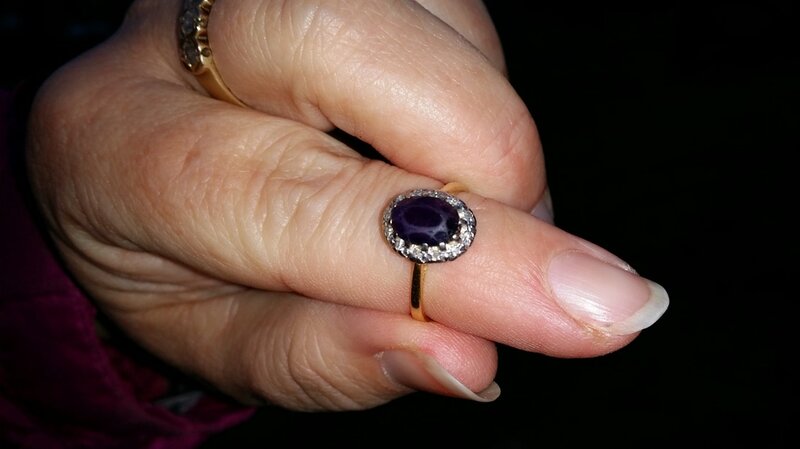 I received a phone call last night from a lady who one of her guests staying with her lost her engagement ring whilst attending her son's wedding function. So Phoenix and myself drove over this morning to be greeted by the couple that lost the ring. They were staying at B&B nearby and were due to go home to Surrey today. We followed them from the B&B for a couple of miles to the farm where they held the big day. They informed us it was lost in this field somewhere around there. On the day they had a big marquee with dance floor, bar and toilets etc. It looked like a big do they had. Well we were asked to start around the area where the dance floor was. Off we went and a couple seconds later I saw a shiny glint in the sunlight Could it be No It was some small shiny confetti stars that was all over the place.... Anyway the dance floor area was scan and only a few bottles tops to show. We then moved over to near where the bar was 15 mins later a sweet signal A recent button carried on for another 5 mins The AT-PRO gave a sweet signal showing a surface target...... I bend down and part the grass away and BINGO there it was lying in the sunlight shining brightly.... I shouts YES and hold it in the air.... The picture joy on the couples faces were out of this world. She said that they spent all day on their hands and knees around there looking for it too. They offered us reward in which we declined, "nope the look on your faces is our reward" I said. The gentleman offered to pay for the petrol and we said that they can donate it through our website To Just giving for Cystic Fibrosis Trust. I received an email from a lady asking if we could help as her husband was working out on the farm last year in the snow and managed to lose his wedding ring. 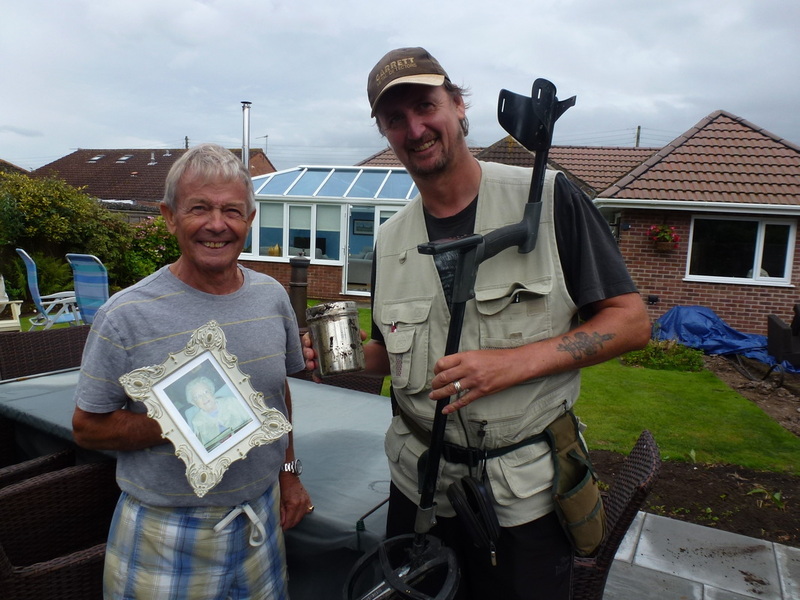 This was handed down from his mother and was keen to find it. The gentleman was not around to show me the location so his wife took me over to the field and explained what he was doing and where about they think it could be. Off I went with the Faithful AT-Pro. There was a couple of rows of cages where some of the structure was giving me some false readings due to the metals around. So I lowered the sensitivity alot and this enabled me to get closer to them without the falsing. Ding a nice target 5cm down. Took the trowel out and dug a plug only to find a nut and bolt. Well about an hour later Another good signal quite close to the hutch, the target was reading 5cm deep again. 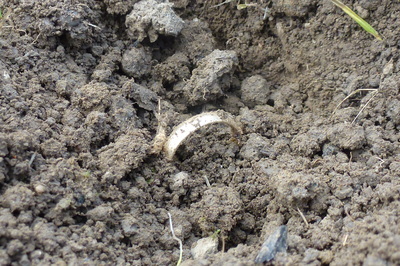 I reached for the probe and scanned the grass it's near the surface and thought could it be I parted the grass and noticed the the ring had been driven over by a vehicle and pushed into the soil. YES BINGO I said to myself....Chuffed to bits feeling on top of the world I walked back down to the farm house with a big smile on my face. 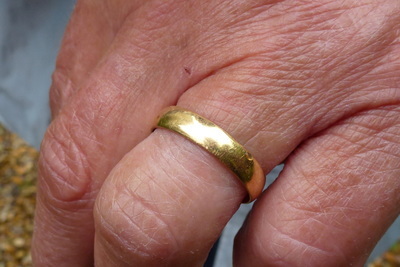 The lady came out and I held up the ring "OMG Thank you so much hubby will be over the moon when I tell him" she said. They offered a kind reward and I declined and said if they wish to they can make a donation to the Cystic Fibrosis Trust via our website. 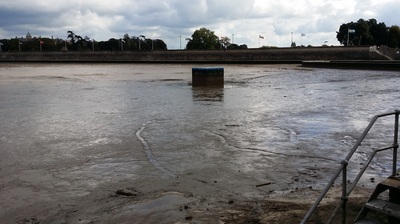 Another great day to remember :-) Below is a picture of the ring still in the ground.